Students need multiple opportunities to write so they can apply techniques introduced in class or strategies used by their favorite author. 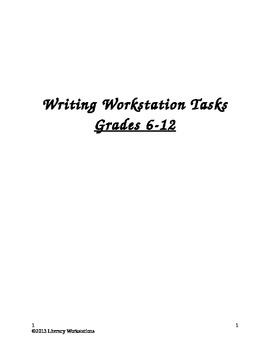 These generic workstation task sheets can be used with any short story, novel, etc. 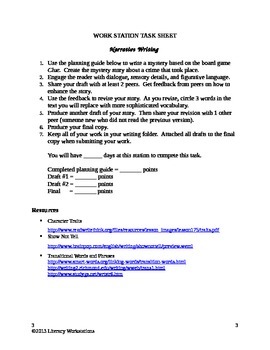 to facilitate opportunities for students to do in-class writing. The stations can be used multiple times throughout the year as students read different texts. 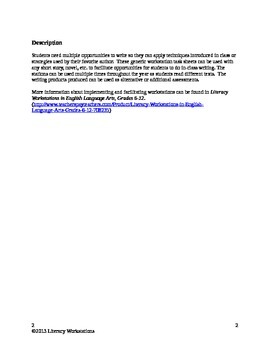 The writing products produced can be used as alternative or additional assessments.